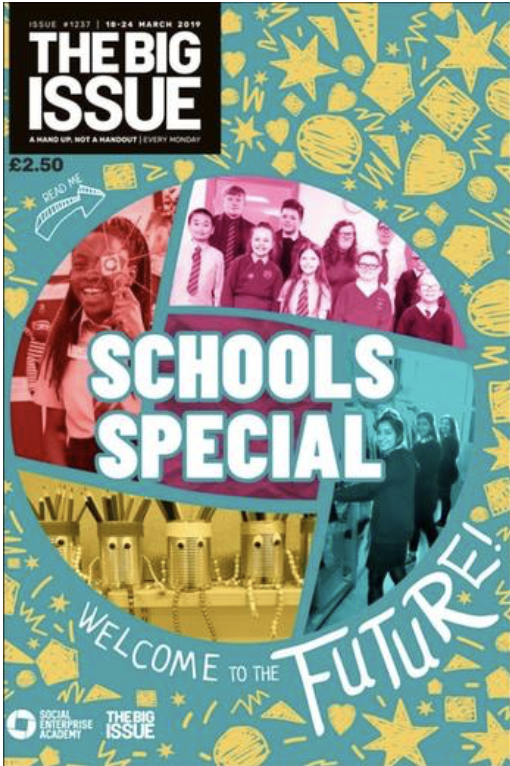 Scottish schoolchildren are selling a special edition of The Big Issue magazine this week which 15 of them wrote and edited. 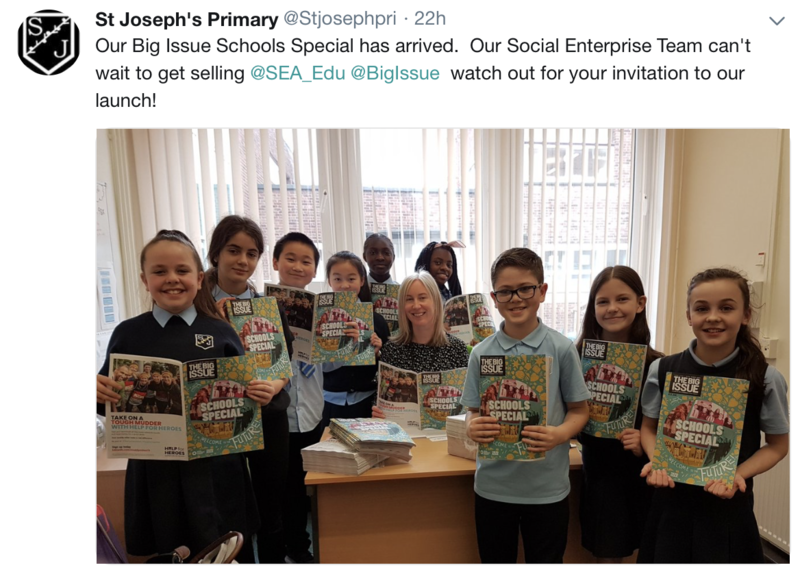 Big Issue staff worked with 15 pupils aged between nine and 16 from four schools to create a special social enterprise-inspired supplement which is running in all copies of the Scottish edition of the magazine, with additional copies being sold by children in 14 schools across Scotland. 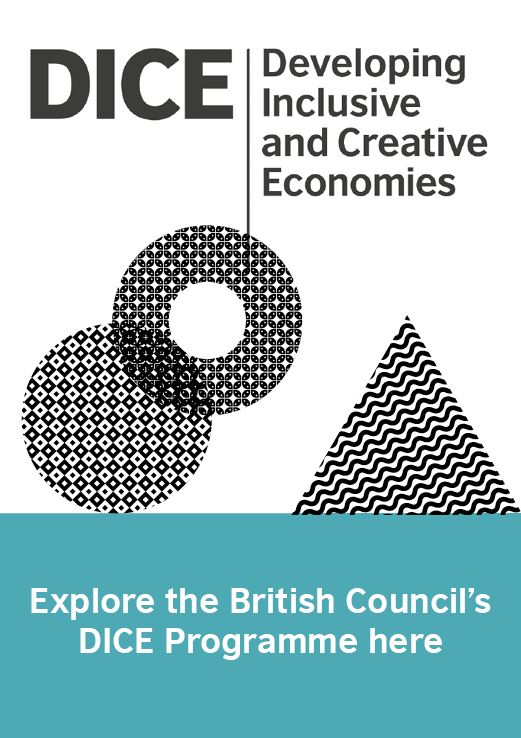 The special edition resulted from a collaboration between The Big Issue and Edinburgh-based Social Enterprise Academy (SEA), which runs a programme giving hands-on experience of running social enterprises to pupils in 1,000 Scottish schools to date and aims to reach all Scotland's schools by 2028. Neil McLean, chief executive of the Social Enterprise Academy, said: "The schools special magazine is giving Scotland's young people a platform to shout about the issues that they care about – creatively showing how they are solving these issues by running their own sustainable social enterprises." 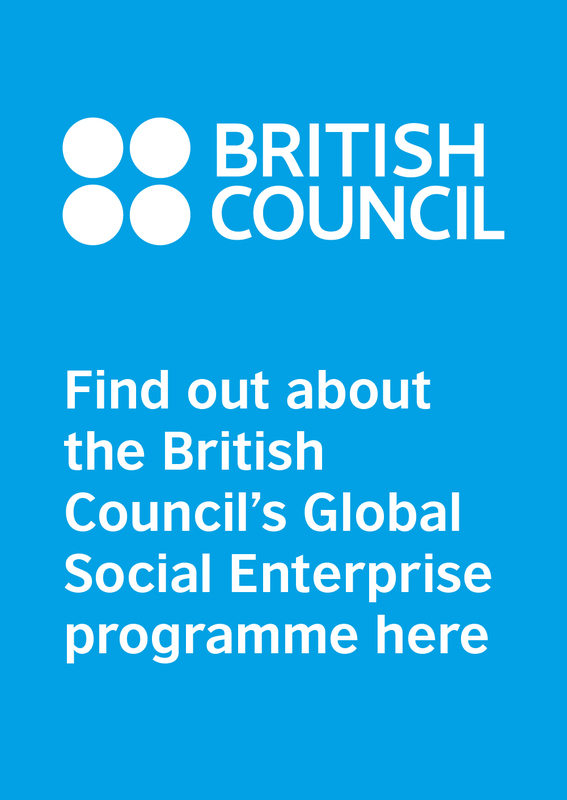 The stories featured in the magazine are all schools-based social enterprises developed through SEA's Social Enterprise in Education programme. 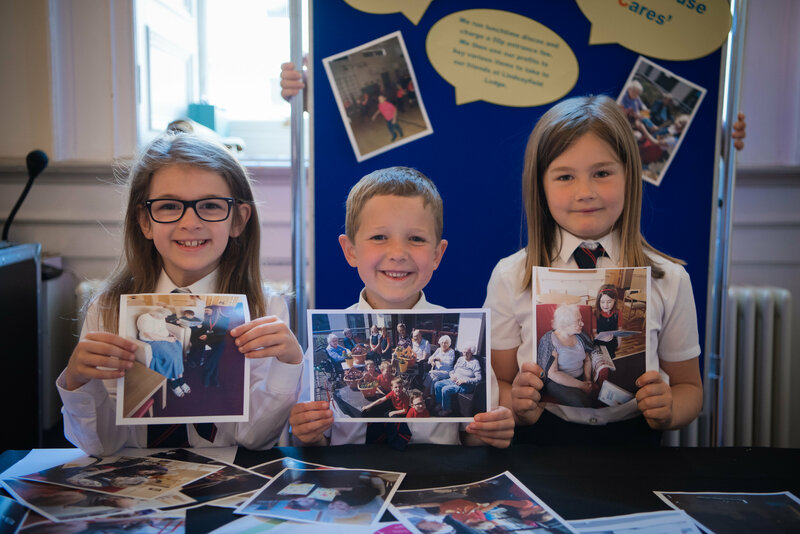 They include Bellahouston Academy's Blazing Squad, which provides free school blazers to families that can't afford uniforms, and The Edge at Inverness High School which sells a range of natural projects to fund improvements to the school's garden and to provide donations to the Bumble Bee Conservation Trust.